NEW YORK (AP) — Sixteen stories below Grand Central Terminal, an army of workers is blasting through bedrock to create a new commuter rail concourse with more floor space than New Orleans' Superdome, just one of three audacious projects going on beneath New York City's streets to expand what's already the nation's biggest mass transit system. 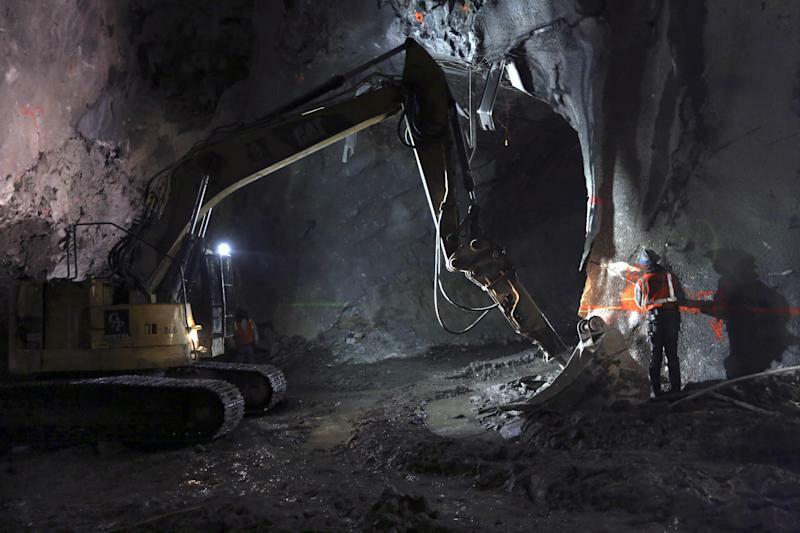 But even with blasting and machinery grinding through the rock day and night, most New Yorkers are blithely unaware of the construction or the eerie underworld that includes a massive, eight-story cavern, miles of tunnels and watery, gravel-filled pits. "I look at it and I'm in wonder, I'm in awe," says engineer Michael Horodniceanu, president of capital construction for the state Metropolitan Transportation Authority. "I feel like when I went to Rome and entered St. Peter's Basilica for the first time. ... I looked at it and said, 'Wow, how did they do that?'" In New York, they hauled out enough rocky debris from under Grand Central to cover Central Park almost a foot deep, Horodniceanu says. Together, the three projects will cost an estimated $15 billion. And when they're all completed, tentatively in 2019, they will bring subway and commuter rail service to vast, underserved stretches of the city, particularly the far East and West sides of Manhattan. "They'll be a game-changer for New Yorkers," says Horodniceanu, an Israeli-educated native of Romania who lives in Queens. The most dramatic project will result in a sort of 21st century, underground Grand Central Terminal mirroring the century-old Grand Central Terminal above —a 350,000-square-foot, $8.3 billion commuter rail concourse with six miles of new tunnels. It will accommodate Long Island Rail Road trains that now bypass Manhattan's East Side as they roll east through Queens and straight to Pennsylvania Station on the island's West Side. This so-called East Side Access will bring about 160,000 passengers a day from Long Island to a new station in Queens' Sunnyside neighborhood, then about five more miles to the new, eight-track Grand Central hub. For now, the subterranean hub is a drippy, humid construction site. The raw, dark gray walls mark the dimensions of the future concourse — eight stories high, about 70 feet wide and 1,800 feet long, or about "five football fields, without the end zones," Horodniceanu says. The Federal Transit Administration is kicking in $2.7 billion toward the estimated $8.3 billion budget, with the MTA state agency covering the rest using mostly taxpayer money. 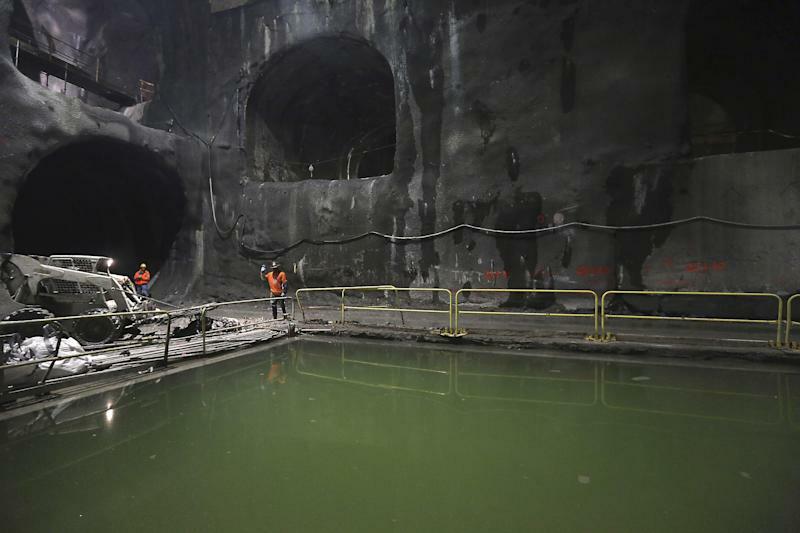 Also under construction is the Second Avenue Subway that eventually will serve Manhattan's far East Side, from Harlem to the island's southern tip. The planned eight miles of track will open Manhattan's East Side to millions of people who now squeeze daily onto the Nos. 4, 5 and 6 subway trains running under Lexington Avenue. Dubbed the "The Line That Time Forgot," the Second Avenue Subway has been a New York City dream since the 1920s. Then came the Great Depression and World War II, followed by lack of funds that stopped the project after several stretches of tunnel with tracks were built in the 1970s. The existing tunnels are now being incorporated into the new ones. The first phase — 1.7 miles with stations between East 63rd and East 96th streets — is to be completed in 2016 at a cost of $4.5 billion. Funding and plans for the rest of the route are still up in the air. Finally, there's the extension of the No. 7 subway line from Times Square to a huge new real estate development on Manhattan's Far West Side, New York's biggest besides the World Trade Center. It's called Hudson Yards, a small urban village of high-rises, parkland, retail businesses and cultural institutions in the West 30s. Moody's Investors Service calls this subway extension — financed through $2.1 billion worth of city-issued bonds — "a key milestone towards attracting development." "These are vital projects, and they'll reinforce the infrastructure of the city," says Mitchell Moss, director of the Rudin Center for Transportation Policy and Management at New York University. "It's not just about people going to work; the New York subway and rail systems are busy 24 hours a day, taking people shopping, to theaters, to clubs." The city's 468 subway stations register more than 1.6 billion rides a year. The system is used by more than 5 million daily riders. The Metro in Washington, D.C., has about 800,000, and San Francisco's Bay Area Rapid Transit has about 400,000. The three mammoth projects require creative solutions and the latest technology. When crews prepared to drill the giant new cavity under Second Avenue, they first had to freeze the ground to about minus 20 degrees so as not to destabilize the buildings above as the boring machine cut through. For that, aluminum tubes were inserted from the street and a special chemical solution was poured into the ground and cooled by a refrigeration plant. The Second Avenue tunnels hold a space-age surprise: The ceilings are coated with a material once used to fireproof the space shuttle. The new line has another major improvement. Instead of ventilation grates that allow rainwater to pour in, the new stations will be aired using enclosed cooling plants. 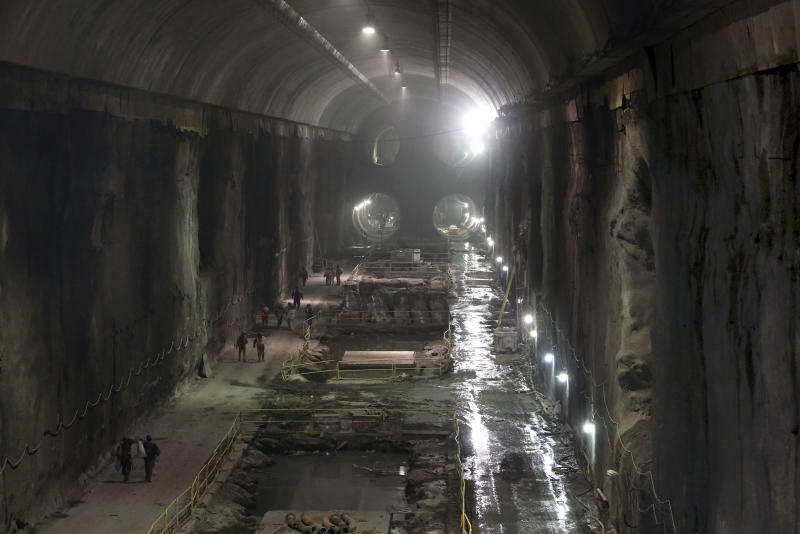 When Superstorm Sandy hit the city last October, floodwaters washing over the East Side did not penetrate subway construction sites. "We're using the best technology available today, but this is really people-intensive work," says Horodniceanu, who supervises a team of thousands of workers on any given day. "I feel I have the most exciting job in the world," he says. "It's an incredible feeling to be able to build a legacy project. I hope that one day, my grandchildren will be able to say their granddad built this!"